I get that many of us are not comfortable in a thick skin and want to shed of that extra weight. A lot of us are not very practical about losing weight and sometimes overlook the very small and important details critical to effective weight loss . It is common practise for most people to skip meals or quit eating altogether in a bid to lose weight; this not a very smart move. Here are a few tips you should consider and pay more attention to if you really want to get in shape quicker. Lifestyle changes tops the list, because it should be given top priority. This is undoubtedly the most important thing to consider on your weight loss journey. If ignored, every other steps taken will amount to little or no significant change. Cut out the late night meals, eat no later than 8pm, have early and light dinners. Also shun smoking and the Likes. Ignore the fancy fast foods on your way home. Stack your refrigerators with more fruits than carbonated drinks, have light breakfasts too. Embrace the healthy lifestyle,don't treat your weight loss journey like a chore or strenuous work. Salty foods do not directly increase body weight. But they make you feel bloated and aid retention of water in the body. Be sure that this would have an impact when next you get on the scale. By no means think its cool to skip breakfast, starving yourself in the morning will only force you to have more for lunch. Rather eat light and low calorie food in the mornings. Be sure to refer to the calorific content of your cereals or oat meals. Its always a good idea to; have a dance while doing the dishes or cleaning the house, take a Short brisk walk with your dog late in the evenings or you may just enjoy a particular kind of sports. Get more involved in sports or do a bit of cardio for 10-15 minutes. Preferably morning and night. Resist the urge to eat cakes or potato crisps after dinner. Or popcorn while watching your favourite show. Rather go for fruits and veggies. They are healthy and low in fat. A lot of people don't actually like the idea of waking up early to take a jog or short sprints. Its actually a fun way to shed some of those KG's. Get friends who would like to join in just to spice it up more. Funny as it sounds, drinking more water tells your body to retain less water. So on the long run you'll feel lighter and fitter. Its also a nice way to fill up your tummy before lunch just so you don't eat too much. Water is also important to enable the body metabolise stored fat. Its a bit of an irony, if you starve yourself,your body thinks there is a famine looming and then slows down the metabolism of your body in order to conserve energy. The ripple effect is that even when you eat,your body still thinks that food may be in short supply, which in turn means your body would be slow to burn the calories. If you are too busy to have a proper meal, grab a fruits or energy bar and have one during lunch time. Be it jumping ropes or 5 pound dumbbells, spend some small cash on a few simple body training equipment, and you will be glad you did. The stress of finding out time to go to the gym could be replaced with jumping ropes or lifting dumbbells for 20 minutes daily. Save yourself all that emotional drama about being on a very strict diet or buying some specially formulated weight loss drug. 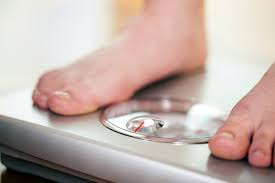 These methods are usually aggressive and appears to desperate, in a bid to loose weight you just may be doing more harm than good to your self. a lot of us are even unsure if we are overweight or not, use the tool below to clarify. sharing is caring! please share this post with the share button below if you like it.